In our Bible study on the God of the Bible we asked the question: Who is God? 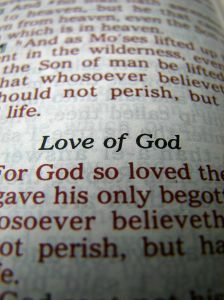 The Bible says that "God is Love" (1John 4:16) But sometimes that is hard to grasp. Here is Judi's response to that Bible study on the true essence of God. I know that God is love, I just have a hard time understanding why would He love somebody like me. When I stopped believing God loved me was when a the Mormen church told me that God will never forgive me for something that I had no control over. When they kicked me out of the church because of it I began to beleive God abandoned me and that he will never again love me. I carry that with me today and this happened when I was 16 and I am 42 now. I don't know how to protect myself from falling into that trap again.